Winter is an amazing time of year if you embrace the colder climate. You can take part in fun activities like snowshoeing, skiing and snow tubing! Or for the less adventurous, making snow angels or just enjoying the fresh air! Perhaps one of the most important things you need to dress warmly is a good base layer. Having a base layer that holds in your body heat while staying lightweight enough to fit under your other clothing is key to staying warm and dry when heading outside. Merino wool, which is popular this season, makes a great lightweight layer under sweaters, sweatshirts and your winter jacket. You can grab a T-max thermal top from Marks and these great long johns from MEC will keep your legs warm under your favorite jeans or ski pants. Choosing the right coat is critical. It should be lightweight so it doesn’t become cumbersome while you are outdoors, but needs to keep you warm and dry. Extra pockets are a plus so you can store your gear and your phone. The Woods Women’s Kala Insulated Parka with a detachable hood is perfect for winter days spent outdoors or for rainy weather try the WindRiver HD3 Waterproof T-MAX 3-in-1 Jacket. Keeping your head warm on a cold day is equally as important. Although some say that your head doesn’t lose any more heat than the rest of your body, you should still keep your head warm and dry and especially your ears covered from the sometimes extreme winter elements. That’s why a beanie is perfect! It keeps your head warm and in fashionable patterns, you can be styling. 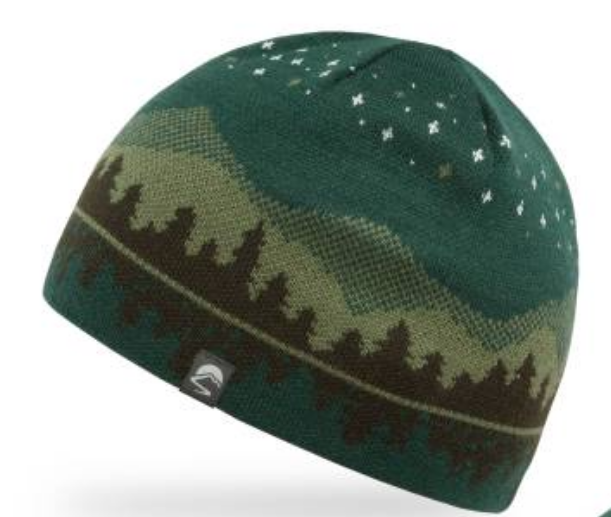 Check out the Milky Way beanie from Sunday Afternoons or the Woods Quanta Knit Hat available at Canadian Tire. Almost as important as what you wear under your clothes is what you wear on your feet. Waterproof boots in the winter are a must. Keeping your feet warm and dry is important especially if you plan on spending extended periods of time outdoors. Feet and hands are especially susceptible to frostbite in cold climates. 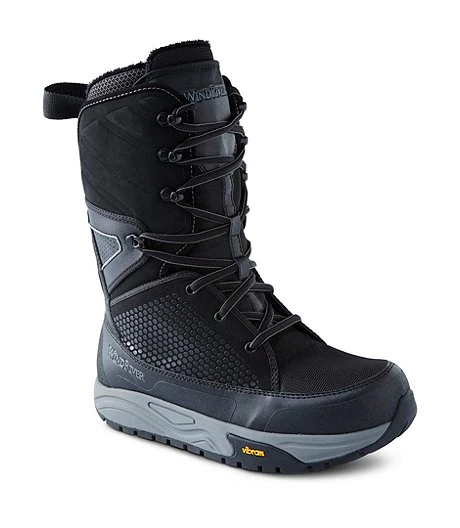 Be sure to pick a pair of boots that has treads so you can navigate icy terrain (or pavement) without slipping like these Men’s Woods Wildfire Winter Boots or Women’s Summit Winter Boots with Vibram Arctic grip from Windriver. For hiking enthusiasts Keen’s REVEL III shoe is available in Men’s and Women’s sizes with two types of insulation to cut the chill and navigate icy patches. Hoodies and fleece jackets are great for layering in the winter. On warmer winter days, it can function as a light jacket, but it also makes a great top for layering as well. This Ember Jacket from MEC is lightweight, but warm and easy to layer. If you plan on spending any time outdoors, you need a good pair of gloves to keep your hands warm, dry and frostbite-free. Look for gloves with a fleece lining like these Windriver Deerskin Gloves. 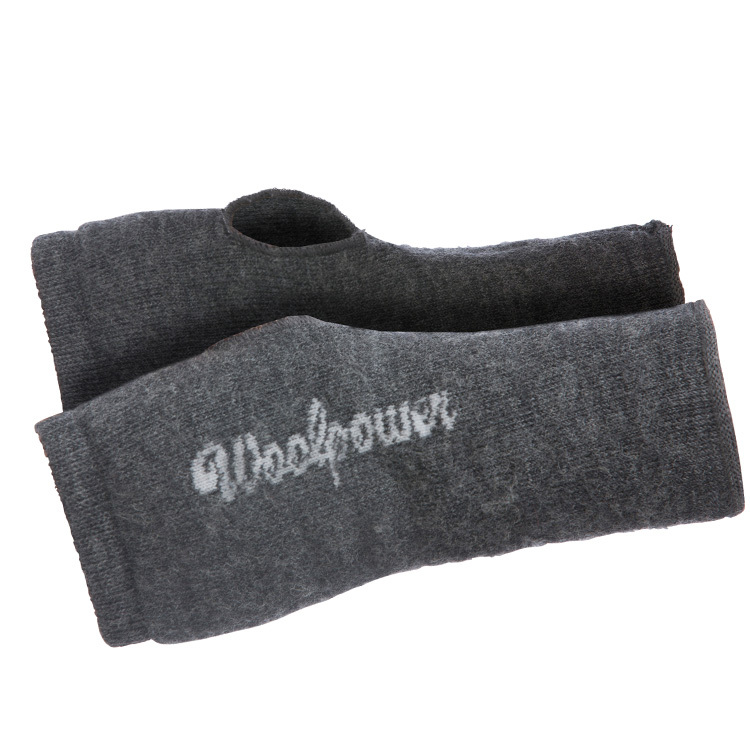 If you need to have your fingers free and gloves off from time to time, try the Woolpower Wrist Gaiters made with merino wool. Woolpower is responsibly made in Sweden. There is nothing like a hot cup of coffee, tea or hot cocoa to get you toasty warm on the coldest of winter days but how do you keep hot drinks hot when the temperatures drop. Look for a high-quality insulated mug like HydroFlask with TempShield insulation. It will keep your beverages hot for hours so you can warm up when you need it! You never know when you may find yourself in an emergency situation or stranded in the cold. Whether you are hiking in the wilderness or just out on a winter drive, having a multi-tool that can help you stay warm (or get help) is key. This Leatherman Signal fits easily in your pocket and includes a firestarter, emergency whistle, a hammer and one-handed blade in case you would find yourself out in the cold. 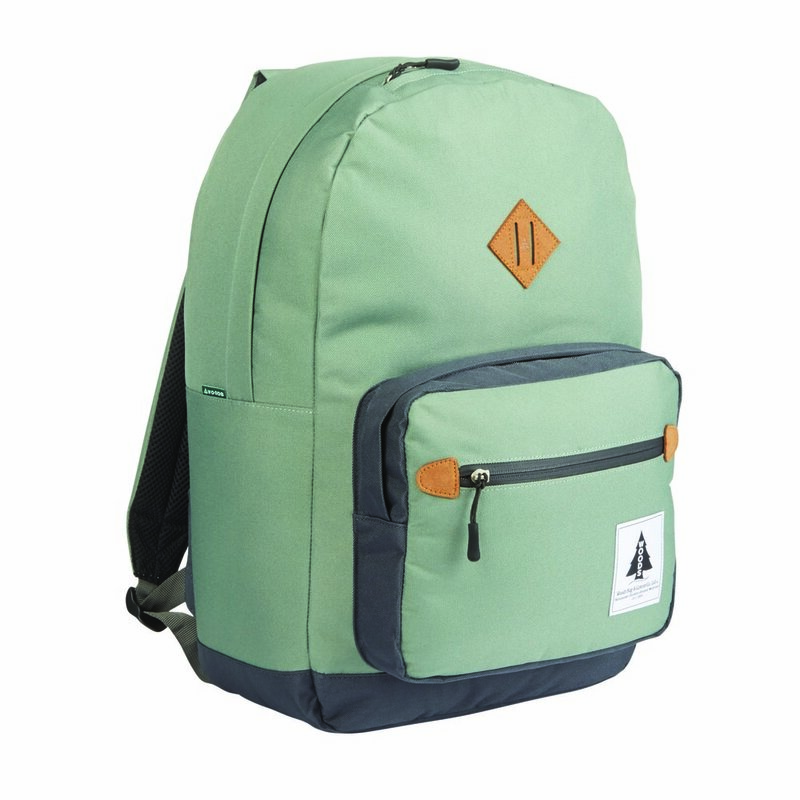 If adventure is what you crave, you want to have a daypack with you. A pack like the Woods Georgina Daypack is light enough to carry with you, yet fits extra layers, dry clothes, food and a few essentials that could come in handy if you get caught outside. It is also a great pack to put in your car as an emergency kit. Follow these tips and try out this gear to dress warmly in winter and you can (safely) take part in every adventure that this magical season has to offer.